You are here: Home » SEO » Reasons Behind the Dominance of WordPress Over Other CMSs? Reasons Behind the Dominance of WordPress Over Other CMSs? Many beginners ask that Why WordPress is better than other CMSs that are available in the market? 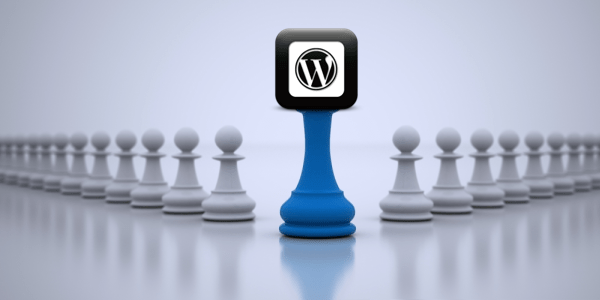 Why it is recommended to use WordPress? If you are also asking the same, then we will find out the reasons that why WordPress is becoming the first choice among the developers and designers in the web development world. In this post, we will highlight the reasons behind the dominance of WordPress over other CMSs like Joomla, etc. WordPress is a robust and versatile Content Management System, which is used for creating blogs as well as designing and developing Websites. You can create a highly customizable and fully functional websites that can leave a great impression on the potential users and visitors. Most of the developers and designers like WordPress because of its easy to use and flexible features. That’s why it has become the most popular CMS solution across the nation. You know many of the world’s reputed brands also use WordPress as they find it more useful. The best thing about the WordPress is that it is free software that means you can freely download, install and activate it. You can use it to create or develop any website. WordPress is highly-customizable that allows you to add specific features to make your site unique and engaging. It offers 2500+ WP theme and 30,000+ plugins that can enable you to design a site the way you want. You just need to download and install them on your website. In order to run WordPress, all you require is a domain and web hosting. You can use SiteGround or Bluehost as they offer free domain and 50% off on their hosting services. Today, WordPress is used by millions of people all around the world. In fact, many people are joining the WordPress community by designing their first WordPress website. The main reason using the WP is due to its user-friendly features. You can easily create and manage the site without any complications. Apart from web designers/developers, many website owners are also using the WordPress, without having any basic knowledge of coding and designing websites. These WP beginners love WordPress because it offers thousands of free themes. You can choose the most suitable theme that can empower your business and also enhances the website’s visibility. You can use a desired theme such as magazine theme, ecommerce theme or portfolio theme. It gives you the flexibility to choose the perfect theme that can fit-perfectly to your site’s needs. To an addition, you can customize your WordPress theme because many of them are available with their own options panel. This enables you to upload the logo, change color schemes and design beautiful sliders and so many other things without even entering the code to the site. WordPress also provides thousands of free plugins that can help you add extra functionality to the site. In fact, some of the plugins are used to add an entire new platform to your site. WordPress appears with the inbuilt updater that enables you to update your themes and plugins from your WP admin dashboard. It also gives you notification about the arrival of a new version of WordPress, so you can update the latest one quickly by clicking a button. Use WordPress Backups to keep your site’s content safe and secure. WordPress is noted down by using the standard code and produces semantic markup that makes your website perfect for search engines. However, WordPress is considered as one of the best SEO friendly CMSs as compared to other well known CMSs. It offers WordPress SEO plugin that help you to improve your site’s ranking on the search engine pages like Google. WordPress is developed with an objective to provide complete security and protection to sites. There are many plugins that can help you keep your site safe and secure from the viruses and spamming. WordPress is just not limited to writing text, but it also supports high-quality audio, images, video content. It supports oEmbed enabled websites that mean you can embed YouTube videos, Tweets and Soundcloud audio by passing the URL to the post. In this blog, we discussed why WordPress is the most popular CMS solution in the web development market. It’s flexible features and versatile functionally makes it better than the other CMS solutions. You can also use WordPress to make your site appealing, ingenious and user-friendly.